The film entitled Explaining Power to a Pipeline has been shown at screenings in Dartington, Bristol, Brighton, Nottingham, London and St. Petersburg. 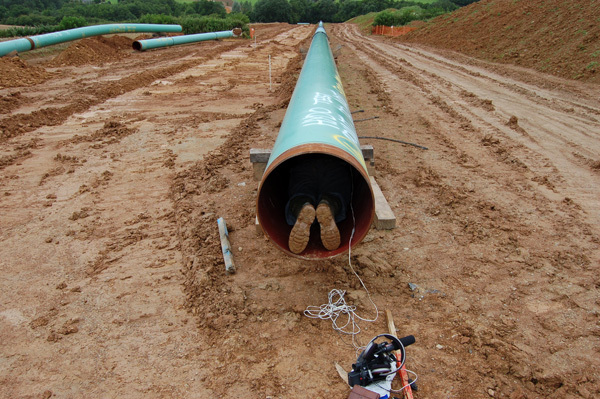 Explaining Power to a Pipeline came out of a collaborative body of practice research developed with Bram Thomas Arnold. The project included a series of research forays, interventions and responses to two parallel energy sources that traverse North and South Wales. In South Wales the building of a new LPG (liquid propane gas) pipe being laid from Milford Haven to Gloucester and in North Wales the power cables run from Trawsfynydd, to a decommissioned Nuclear Power Station to Liverpool. Eleanor and Bram developed a body of collaborative material that included, performance, photography, text and film.